Spanish journalist Javier Espinosa, who was held hostage by the Islamic State for more than six months, has given a detailed account of his time in captivity, including torture and mock executions at the hands of British-raised jihadists. Espinosa, a long-time Middle East correspondent for El Mundo, and his photographer Ricardo Garcia Vilanova, were released in March last year, after being held captive for 194 days. The journalist was told by ISIS that his former cellmates would be executed if he spoke to the media, but they have since been beheaded anyway, and Espinosa penned an exclusive account for the Sunday Times. 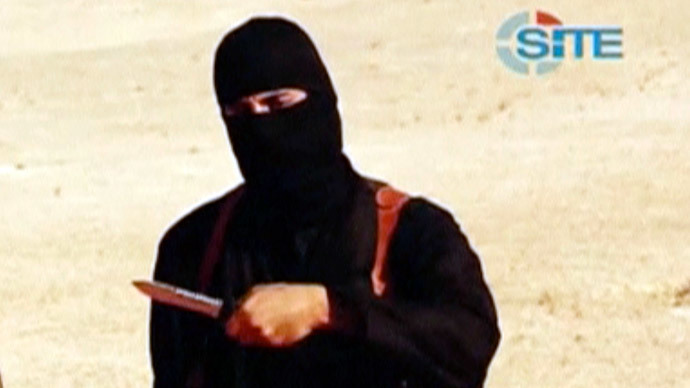 In it he describes Islamic State executioner ‘Jihadi John,' since then revealed to be Kuwaiti-born UK citizen Mohammed Emwazi, using a combination of psychological and physical torture to break down Espinosa and more than 20 other hostages. “Feel it? Cold, isn’t it? Can you imagine the pain you’ll feel when it cuts? Unimaginable pain,” Emwazi told him as he held an antique scimitar to his neck. Emwazi, who is pictured wearing a mask in the ISIS beheading videos, also pulled out his gun, put it to his temple, and pressed the trigger, only for the terrified Espinosa to discover it wasn’t loaded. He also forced prisoners to describe pictures of dead victims of previous executions, and choose whether they or their colleagues would be the first to be executed. Espinosa met humanitarian worker Peter Kassig, who was beheaded last November, who described being physically tortured. “When they realised I was American and that I had been a soldier in Iraq they went crazy,” Kassig told the Spanish journalist. But Espinosa admitted that Western hostages were treated better than locals, because they were valuable bargaining chips and public relations tools – even if for the spectacle of their deaths. Although his initial place of incarceration was in the basement of an Aleppo mansion, he was transferred to Raqqa, the ISIS capital. There, he and the other hostages heard constant beatings of captured Syrian soldiers and civilians from the other side of the wall, which often ended with gunshots, then silence. Espinosa’s story mentions 23 foreigners, including he and Vilanova, who were being held hostage by the extremist group. Six of them have been executed, while another American hostage, Kayla Mueller, was allegedly killed in a US air raid. Fifteen of the hostages have been set free. Governments of the countries from which the released men and women originated would typically neither confirm nor deny if a ransom was paid to set the individuals free. An unconfirmed report said that Italy paid 10 million euro ($12 million at the time) for the release of two young female aid workers. The move caused an uproar in the country, with media and politicians blaming the government for financing ISIS terrorists.